I am an earthling, human-being, musician, sound engineer and creative technologist from the piece of earth called Colombia. BM from the music and sound engineering programs at the Javeriana University in Bogotá, with experience in live sound and sound design for visuals. I graduated with an MFA from the Music Technology, Intelligence, Interaction, and Design program at the California Institute of the Arts. 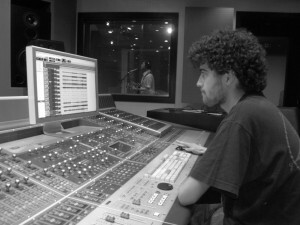 I am also an experienced live and studio audio engineer. I interned in Grammy-nominated Studio G in Brooklyn, NY. I worked in over 100 concerts as part of the staff for the concerts production at Calarts, tasks included recording, webcast, stage manager and front of house. I have worked in a wide range of musical genres, from traditional andean music to metal and jazz, doing the role of mixing/recording engineer, producer and performer as well.